My fellow followers would probably know that I had featured this product in my Instagram posts and Periscope for a while now. I figured, I might as well make a proper review out of it. I used this product once years ago, long before I embarked on a full-on skincare journey. I loved it then but I didn’t have the commitment in being diligent, yet. Few months ago, I got invited into an intimate gathering held by Jurlique Indonesia. There, I got the chance to try its infamous Rosewater Balancing Mist again. I was reminded why I loved it in the first place. I was given a 50 ml bottle as a PR Sample and I finished it up quite easily. Without a second thought, I made my way back to the store and got myself a 100 ml bottle. 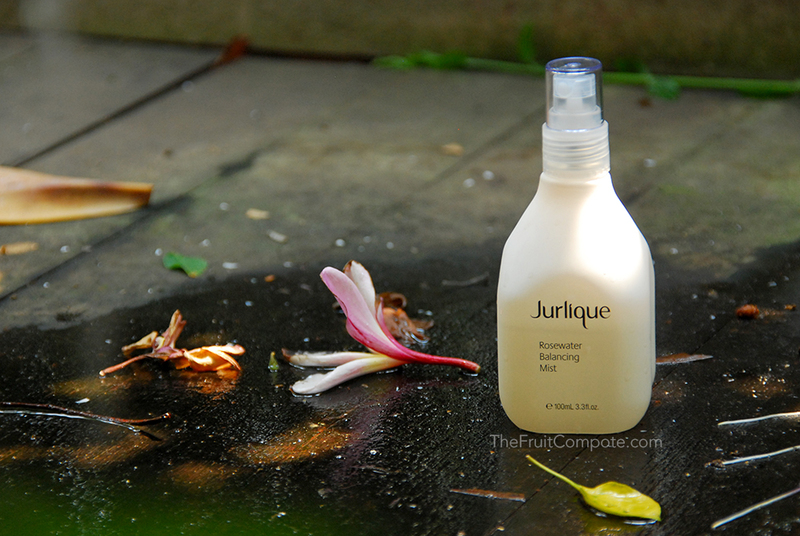 Let’s get to it, Jurlique Rosewater Balancing Mist. Rosewater Balancing Mist sits in the hydrating toner step of my skincare routine. I usually use it after my exfoliating toner. There are no certain rules or manual book for this. I just spritz the mist quite liberally across the face, spread it out with my hands and press it down until the skin drinks it up. The absorption doesn’t take time at all. It is that quick. The extra step that I like to take is to enjoy the soothing rose scent coming out of it. This is important. I think skincare routine should feel more of a beautifying ritual, instead of a chore; not that I ever feel like that. If I can make the whole ritual to be more pleasant and fulfilling, then why not? The mist feels calming and hydrating, hence the placement. I’d say it’s not the most hydrating of them all but it feeds my skin’s needs. Plus, it’s practical. On average, I usually do 5-6 spritzes to cover the whole face and bring it down onto the neck. But most of the time, I just eyeball depending on how I feel that day. That being said, it’s been a very long searing summer here in Indonesia, so it is no surprise that I get through of the big bottle quite quickly. I don’t just use this as a toner, I also like to spritz this during the day when I need a refreshment on the skin. Or, when my skin is a little bit dehydrated. It works better and more effectively than just plain Avène Eau Thermale. The glass bottle encasing the liquid feels hefty and keeps the product in cool(er) temperature. It’s not completely opaque so I can still somehow see through and gauge how much liquid is left inside. As far as I know, we can bring back the empty bottles back to Jurlique store to be recycled. But I purposely keep my empty 50 ml bottle so I can bring it with me on my travels. Just pour a little bit, depending on the length of the trip. I will finish whatever is left on the small bottle first before I go back with the large one. That way, I won’t waste the mist (or any product for that matter) that’s been decanted. Now, while I am aware that there’s alcohol present (second in the ingredient list, no less), I’m not one to dismiss a product right away just because of it. I never experience the mist drying my skin out, or irritating it, not even once. If any, I figure the alcohol helps the product to sink into the skin better and faster. I’m quite intrigued by the other mist varieties Jurlique offers such as Calendula and Purely Bright Mist. There’s a Lavender one but I’m not too keen with the scent. There’s also a 2015 limited edition of the Rosewater Balancing Mist called BLOOM with richer ingredients and a more intense rose scent. I like this one too but I don’t use it that often because.. it’s limited edition.